I think I first heard this song in the trailer for Big Hero 6 a while ago and have been obsessed with it ever since. Then after going to see Annie, I got even more hooked and I just really like this song. I actually even heard it in the waiting room at the doctors a few weeks ago and it made me feel so happy. 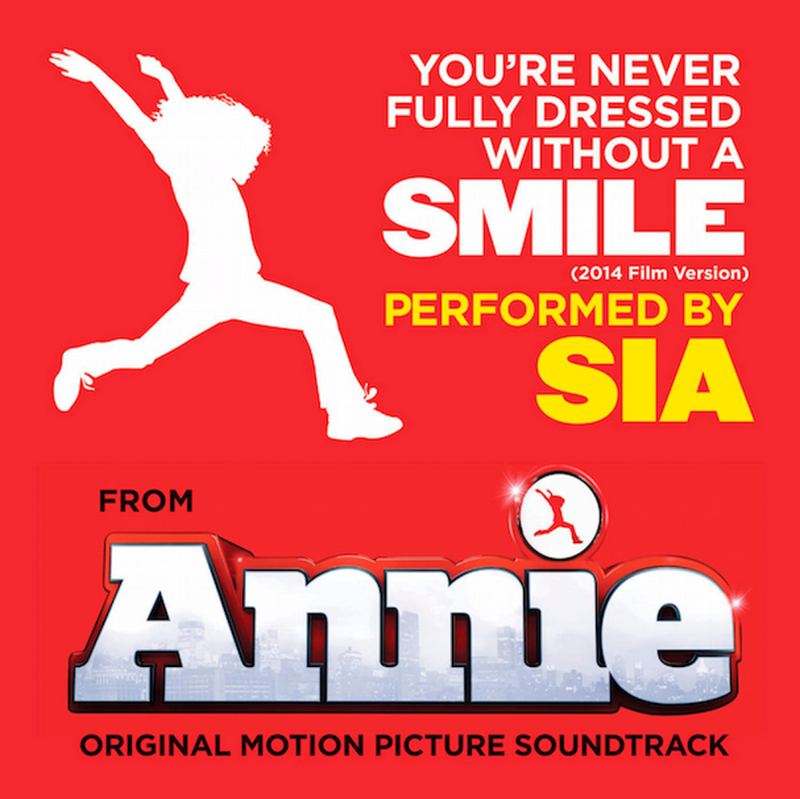 'You're Never Fully Dressed Without a Smile' has been majorly reworked from the original in the musical, Annie, but I cannot get enough of this version. It makes me want to dance???? Like, a lot. And there's a really sweet music video for it, featuring the cast of Annie, which you can find here. There's literally nothing about this song that isn't happy. It's gotten to the point where I can't listen to it if I'm out and about walking around, because I look like some sort of insane-overly-smiley lady (at least maybe that'll scare kids away cool). If you're ever feeling a little (or a lot) down then I would definitely recommend listening to this. I don't know, I just find it really uplifting and happy and wonderful.